The German SS officer was fighting to save himself from the gallows for a terrible war crime and might say anything to escape the noose. 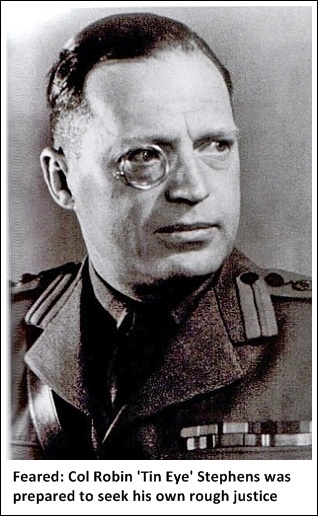 But Fritz Knöchlein was not lying in 1946 when he claimed that, in captivity in London, he had been tortured by British soldiers to force a confession out of him. Tortured by British soldiers? In captivity? In London? The idea seems incredible. Of course, it is crucial to put these events into context. 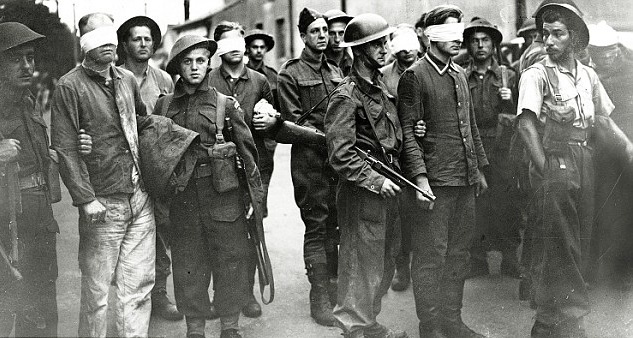 When the gloves first came off at Britain’s interrogation centres — the summer of 1940 — German forces were racing across France and the Low Countries, and Britain was fighting for its very survival. The stakes could not have been higher. In the following years, large parts of Britain’s cities were left in ruins, hundreds of thousands of service personnel and civilians died, and barely a day passed without evidence emerging of a new Nazi atrocity. Little wonder, perhaps, that it was felt acceptable for German prisoners to suffer in British interrogation centres. And it should also be said that whatever went on within their walls, it paled into insignificance compared with the horrors the Nazis visited on millions of prisoners. A heavily censored version of The London Cage duly appeared in the bookshops in 1957. 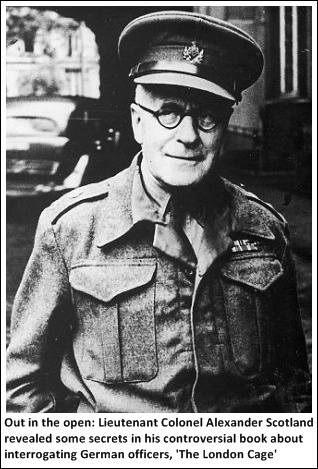 But officials at the War Office, and their successors at the Ministry of Defence, remained troubled. Scotland, his interrogators, technicians and typists, and the towering guardsmen left the building in January 1949. The villas were unoccupied for several years. Eventually, numbers six and seven were leased to the Soviet Union, which was looking for a new embassy building. Today, they house the chancery of the Russian embassy. Number eight — where it is thought the worst excesses were carried out — remained empty. It was too large to be a family home in the post-war years and in too poor a state of repair to be converted to offices. By 1955, the building had fallen into such disrepair it was sold to a developer, who knocked it down and built a block of three luxury flats. One that went on the market in 2006 was valued at £13.5 million. Horror: Liverpool after the Blitz - but were the real perpetrators brought to justice? But there was a quandary for the Labour government. The political fallout could be deeply damaging. There were other similar interrogation centres in Germany. From the very top, there were urgent moves to hush things up. This was the very defence that had been offered — unsuccessfully — by Nazi concentration camp commandants at war-crimes trials. But he was acquitted. The suspicion remains that he got off because, if cruelties did occur at Bad Nenndorf, they had been authorised by government ministers. Extracted from Cruel Britannia by Ian Cobain, published by Portobello Books at £18.99. © Ian Cobain 2012. To order a copy for £15.99 (p&p free), call 0843 382 0000 .